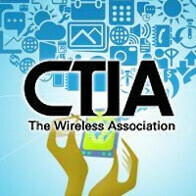 CTIA Enterprise and Applications – what is it all about? Once again, smartphone aficionados, mobile industry experts, and key company representatives are gathering under one roof to attend one of the most anticipated (at least from our point of view) events of the year. We are talking, of course, about the CTIA Enterprise and Applications trade show that is about to open its doors as early as Tuesday morning. But what is all the fuss about? Well, during CTIA is usually the time when smartphone manufacturers and software developers unveil the latest and greatest creations. At the same time, those who are lucky enough to attend the show may get the privilege to check out some sizzling hot devices and to experience first hand the latest innovations and trends in mobile software. However, the list of benefits from attending does not end here. Some of the most important people in the mobile business deliver keynotes during the show and express their point of view on the wireless industry's current state and possible future. That is crucial information for businesses that run activities heavily dependent on wireless communications as it gives them directions how to better manage their operations. Nearly 200 companies are expected to exhibit their wireless applications, solutions, hardware and software at CTIA Enterprise and Applications over the course of the next three days. Executives from Sprint, AT&T, and Verizon will share their insights on how 4G wireless technologies have evolved and how the nation can take advantage of that. Meanwhile, companies will learn what opportunities for optimizing their business operations modern wireless technologies can provide. The way mobile payments, mobile marketing, and mobile video can revolutionize modern business will also be a topic of discussion. Needless to say, we at PhoneArena will be attending the show and will be delivering all the spiciest news for you. The event is to set off at 9:30AM PDT so stay tuned for all the latest buzz.